Opto-Mization is at the cutting edge of care for people facing concussions, ADHD, visual problems, dizziness, migraines, and much more. Dr McCrodan’s TED Talk is compelling, and in person he and his staff change lives for the better every day. Authentic has handled Opto-Mization’s SEO and UX since 2016, with our experts leading SEO strategy and execution. The results have been outstanding. Authentic specializes in supporting alternative energy, progressive, or social businesses in gaining footholds in competitive markets, or in expanding their market access and influence. 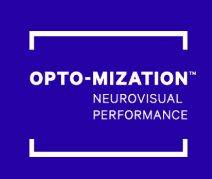 As a leader in the field of Neurovisual Rehabilitation, Opto-Mization Neurovisual Performance Centres are a great fit for what Authentic wants to create in the world.